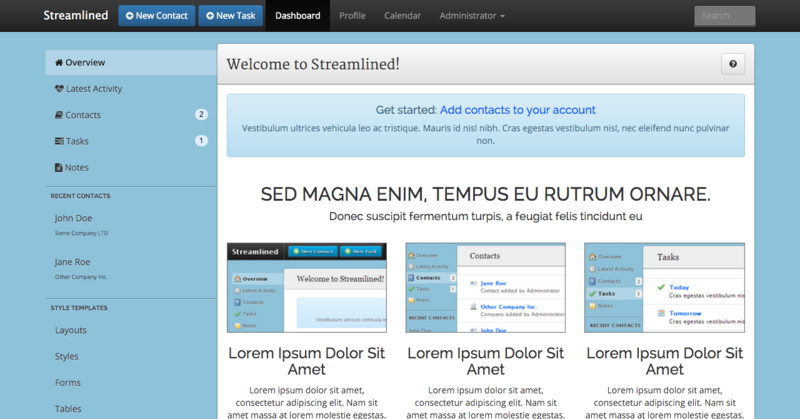 Streamlined is an admin template for Contact Management and CRM applications. It includes element styles for buttons, tabs, tooltips, progress bar, and others. If you are creating an hr application, CRM , or a contact/task manager, this is the perfect template to use. - Improved IE7 /IE8 Support! Full Documentation and sources when purchased! Brychetech Internet Solutions is a Philippine based development company specialising in creating web tools and designing beautiful and responsive themes to its clients since 2009.